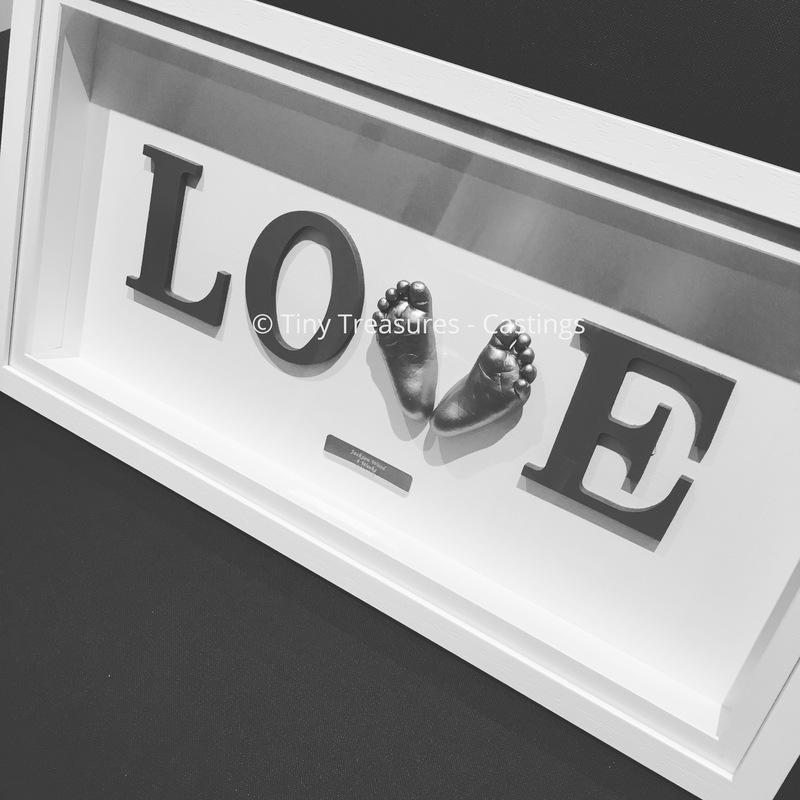 An elegant and stylish casting of baby’s feet formed into the letter ‘V’ to spell the word ‘LOVE’. 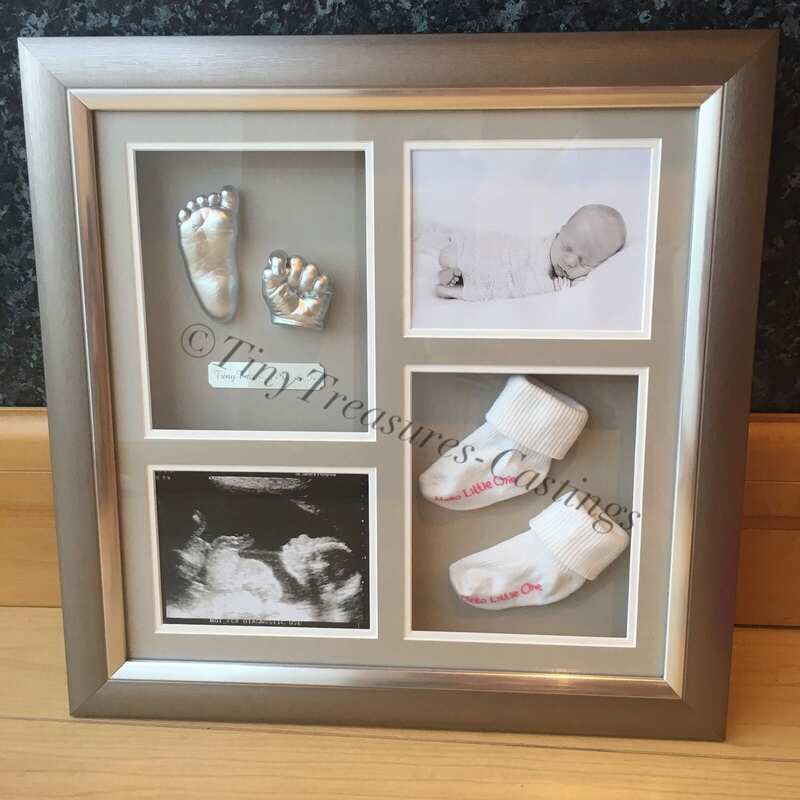 An elegant and stylish casting of baby’s feet formed into the letter ‘V’ to spell the word ‘LOVE’, together with a plaque with the detail of your choice. This style is ideal for newborns up to four months old. Available for older children, but a larger frame may be required, price on application.